The outbreak of mass protests in Tunisia this week comes on the seventh anniversary of the Arab Spring uprisings in 2011. This week, seven years ago, saw Tunisia’s strongman ruler Ben Ali fleeing for exile to Saudi Arabia. Before the month was out, Egypt’s longtime ruler Hosni Mubarak was also ousted. Back then, revolution was in the air and the region was convulsed with potential change. In many ways, arguably, it still is. Seven years on it is appropriate that social protests have reemerged in Tunisia. That demonstrates the Arab Spring is still unfinished business. The potential change for full democracy did not occur back then, nor since. At least, not yet. Tunisia was the first country where the uprisings in 2011 kicked off after a young street vendor named Mohamed Bouazizi self-immolated in protest against poverty and state corruption. Today, protesters in Tunisia are still calling for liberation from political and economic oppression. So, we may ask, what happened the Arab Spring and its promise for sweeping progressive change? Before we review the momentous events, a note of clarification is needed. Back in the heyday of the Arab Spring some analysts posited that the social movements were part of a grand plan orchestrated by Washington to clear out despots who had passed their sell-by dates. Authors like Michel Chossudovsky and William Engdahl were among those claiming a hidden hand from Washington as part of grand scheme. They point to communications between the State Department and certain protester groups, like the April 6 youth movement in Egypt, as evidence of a master-scheme manipulated from Washington. In that view, the Arab Spring was just another version of so-called Color Revolutions, which Washington did indeed orchestrate in other parts of the world, like Georgia and Ukraine in the early 2000s. This author disagrees on what was the motive force behind the Arab Spring events. Admittedly, Washington did have a hand in the events, but more often this was reactionary, to curtail and divert the mass uprisings – uprisings which in this author’s observations were genuine popular revolts against the US and European-backed status quo serving international capital. Instead of successful revolution, what happened the Arab Spring were three categories of reaction. Here we look at seven countries in the region to illustrate. Tunisians and Egyptians may have seen the backs of Ben Ali and Mubarak, but seven years on it is evident that the ruling system which both these strongmen oversaw has been restored. In Tunisia, the Nidaa Tounes party which Ben Ali patronized is in power as part of a coalition with the Nahda Islamist party. The ruling structure of crony capitalism remains in place. The government’s signing up to an IMF loan last year for $2.9 billion is conditioned on imposing harsh economic austerity cuts on the majority working-class population. The rule of international capital has thus been restored. In Egypt, the Mubarak regime was restored through in July 2013. 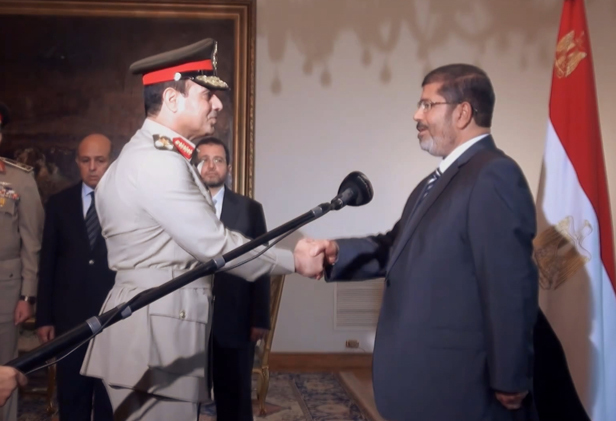 El-Sisi was a senior military holdover from Mubarak’s 30-year de facto dictatorship. Admittedly, Morsi’s ascent to power after Mubarak did not represent a pluralist democratic revolution. Morsi was beholden to the Muslim Brotherhood and his short-lived rule was associated with disturbing sectarian hostility. His government alienated secular Egyptian workers. Nevertheless, el-Sisi’s violent overthrow of Morsi can be seen as a reactionary restoration of the old regime. Like Tunisia, today Egypt resembles much of the status quo as before the 2011 uprisings. Three countries illustrating this category are Saudi Arabia, Bahrain and Yemen. There were similar developments in other countries, such as Jordan, Oman, Morocco, but on a smaller scale. After Ben Ali and Mubarak fled from power, the Arab Spring wave soon buffeted Saudi Arabia, Bahrain and Yemen. Like Tunisia and Egypt, those three countries were ruled by US-backed despots. If the whole regional ferment was somehow a devious plot to renovate the status quo by Washington, as some authors contended, then why didn’t the despots in Saudi Arabia and Bahrain succumb to the State Department’s “human rights” proxies? This author was in Bahrain when its protests erupted on February 14, 2011. For almost one month, the Al Khalifa monarchial regime was reeling from mortal insecurity. The protests were mainly led by the majority Shia population against the Sunni self-styled king. Their demands, as far as this author observed, were for a worker-dedicated democracy, not a sectarian Islamic-style revolution. Bahrain’s protests were brutally repressed with the invasion of Saudi troops in mid-March 2011. The Saudi repression had the full backing of the US and Britain since the island state was and is a key military base for those two powers in the geo-strategic Persian Gulf. Similar protests were unleashed in Saudi Arabia, particularly in the oil kingdom’s Eastern Province where the mainly Shia population have been historically marginalized by the hardline Sunni House of Saud. The protests in Bahrain and Saudi Arabia continue to this day. But Washington and London, along with Western media indifference, have given political cover for the ongoing repression of these protests. In Yemen, the story is slightly different, in that the protest movement emerging in 2011 actually succeeded in ousting the US-backed regime of Ali Abdullah Saleh in 2012. Saleh was sidelined in a stitch-up deal overseen by the US and the Saudis to be replaced by his deputy, Abdrabbuh Mansour Hadi. The latter was prescribed as a “transition president” but ended up delaying the handover of democratic power that the Yemeni people had demanded in 2011. No doubt that was part of the cynical US plan to restore the old order. However, the Houthi rebels grew tired of the charade and ousted the lingering Hadi by force of arms in September 2014. The US-backed Saudi war on Yemen that started in March 2015 has ever since been aimed at repressing the Yemeni uprising in order to restore their puppet Hadi. Libya and Syria represent a very different category of reaction – namely, an opportunistic regime change carried out by Washington, its European NATO allies and regional client regimes. In mid-March 2011, the US, Britain and France exploited a UN Security Council resolution under the pretext of “protecting human rights” to launch a seven-month aerial bombing campaign on Libya. That war crime resulted in the overthrow of Muammar Gaddafi and his murder at the hands of NATO-backed jihadists. Gaddafi had always been an object for Western imperialist hostility. Under the cover of Arab Spring popular revolts, the US and its allies got their chance for regime change in Libya. But seven years on, the regime change has proven to be disastrous for the people of Libya, turning the once socially developed country into a failed state of jihadist-warlord chaos. Cruel poetic justice is that Libya has haunted Europe ever since with a migration crisis owing to NATO’s criminal sabotage of that country and turning the failed state into a gateway for millions of migrants from the African continent. In Syria, minor protests in mid-March 2011 were hijacked by US and European-backed provocateurs similar to Libya which then turned into a full-blown war. As many as 500,000 people were killed in the nearly seven-year war which was waged by the US, Britain, France, Saudi Arabia, Qatar, Israel and Turkey sponsoring jihadist mercenaries, who gravitated to Syria from dozens of countries around the world. 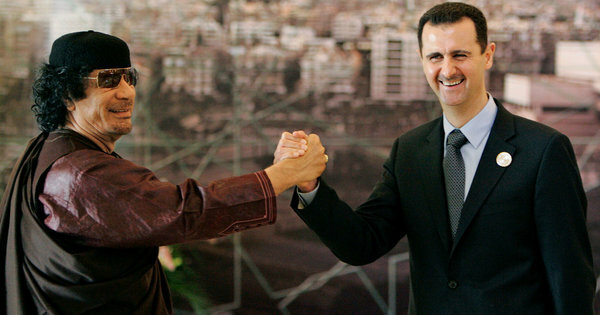 The US-led regime-change plot to oust President Bashar Al-Assad failed mainly because Russia, Iran and Lebanon’s Hezbollah intervened with military support for the Syrian state. However, the announcement this past week by US Secretary of State Rex Tillerson that American military forces are to expand their presence in Syria shows clearly that Washington’s audacious and criminal regime-change agenda persists. The Arab Spring events in early 2011 were momentous. But seven years on, the progressive promise of the uprisings has yet to materialize. The recurrence of social protests in Tunisia this week is testament to the unfulfilled promise of democratic liberation for the mass of working people in that country and the wider region. The US and Europe had, and continue to have, a vested interest in maintaining the anti-democratic status quo in most of the region. The custodians of international capital managed to stymie revolution by a combination of restoration and repression. In Libya and Syria, the Western powers used the cover of the Arab Spring for opportunistic regime change with horrendous consequences. Seven years on, the Arab Spring may seem to have been buried as a genuine popular revolutionary movement. But wherever the mass of people are oppressed by an oligarchic elite, hope for liberation will always spring eternal and is always a potential threat to the oppressors. The Western powers may have partially succeeded in “managing” the Arab Spring. But the potential for revolt against the Western-backed capitalist order has not gone away. That potential is always there, even for an American or European Spring. Readers are advised to check the the following posts, posted in 2012, exposing sectarian”Muslim” Brotherhood who hijacked the so-called “Arab Spring” missed a great chance to turn Arab’s people uprising into a second Arab Islamic revolution against the real ENEMY (Anglozionist Empire), because they thought to govern they have to please the Empire.